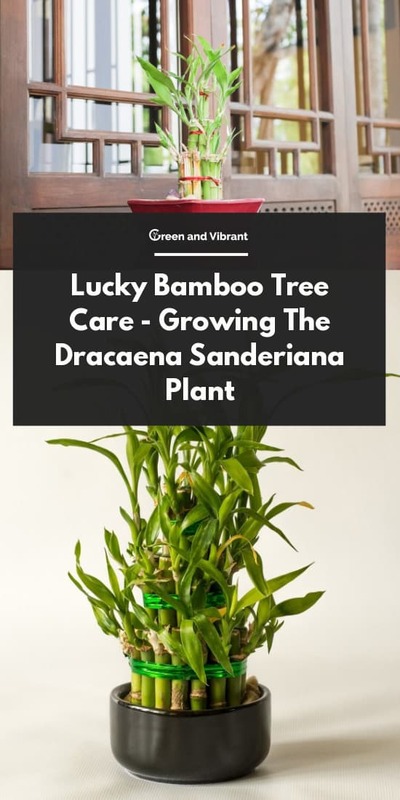 The name, “Lucky Bamboo,” is a common name used to refer to the ornamental plant otherwise identified in scientific binomial nomenclature as Dracaena sanderiana or Dracaena braunii. We don’t know exactly when and how the plant came to be known as Lucky Bamboo Tree, but its appearance is instructive; its cane stalks bear a striking resemblance to real bamboo stalks. The latter, though, belongs to a completely different family. As for the Lucky Bamboo tree, it has been hugely popular in Asian culture where it has been considered a symbol of good fortune for well over four millennia. The reason you and I have come to know it, however, is almost certainly its use in gardening as a houseplant. The Lucky Bamboo tree can be cultivated as a houseplant either indoors or outdoors. You could use decorative bowls or planters, for example, containing only rocks and adequate water. This makes it remarkably easy for gardeners or anyone to nurture indoors. You might as well go the traditional route and opt to pot it in adequately aerated soil to induce a more vibrant growth. The jury is out on which of these two is the best way to cultivate the plant as gardeners have found that both approaches could be successful in the long-term if done right. So it really comes down to personal preference. When you get your Lucky Bamboo from Taiwan or China, for example, and you take it out of the container it came in, it is very likely that it will be bound with string or wire gauze. The best course of action is to take off the string to prevent the possibility of diseases starting and spreading through the plant from a cut in the stalks as the plant grows. This ornamental plant will grow vibrantly in nearly every area of the home. It thrives where so many other houseplants would struggle to survive. This is due to its adaptation in its natural habitat. In Southeast Asia or West Africa, you can find the Lucky Bamboo plant growing in the shade of rainforest trees. This means that you would be right to conclude that while it will can tolerate a lot of bright sunlight, it has a natural preference for indirect sunlight. It has been repeatedly demonstrated that growing bamboo under open, unobstructed sunlight will result in the leaves getting burned and subsequently turning brown. Be that as it may, you will need to strike a balance as growing bamboo under an inadequate amount of sunlight will adversely affect its growth. In light of the foregoing, you can also learn a lot about what temperature is suitable for growing Lucky Bamboo tree. Since this plant’s natural habitat in Southeast Asia and West Africa is the tropical rainforest, it will grow best under warmer temperatures. As earlier alluded to, the ideal range should be 65 degrees Fahrenheit to 90 degrees Fahrenheit. Whatever you do, avoid temperatures lower than 50 degrees Fahrenheit. The need for watering while cultivating this plant is very obvious; it lives in water in the tropical rainforest. It is, therefore, a no-brainer that the plant’s roots should remain immersed in an adequate amount water at all times. You should bear in mind, though, that keeping them submerged is not all that matters. Changing the water at regular weekly intervals prevents the water from becoming stagnant and growing bacteria or attracting pests. You should also guard against using tap water over a sustained period. Instead, try to make use of filtered rainwater (don’t use stored rainwater) or bottled mineral water more often. Your tap water is almost certainly treated with fluoride and chlorine. The Dracaena Sanderiana plant is more sensitive to these chemical treatments than other houseplants like Peace Lily, Weeping Fig, etc. While both of these chemicals are good for distributing pure water, exposing the Lucky Bamboo tree to either of them is sure to be detrimental to the plant’s leaves, and with the passing of sufficient time, robust growth may become unattainable. If you opt to grow your houseplant in aerated potting soil rather than in water and rocks in a container, it is imperative that you keep it moderately moist all the time. In other words, your soil should neither be totally dry nor soaking wet. You’ll need to check it daily to strike a balance. In this regard, you should constantly check the soil moisture irrespective of whether or not the surface appears to be dry. Whenever you feel moisture deep into the soil below the surface, it is time to get the plant watered again. That is the general way to go about it in growing season. When winter arrives, you will need to lower the amount of water you use. 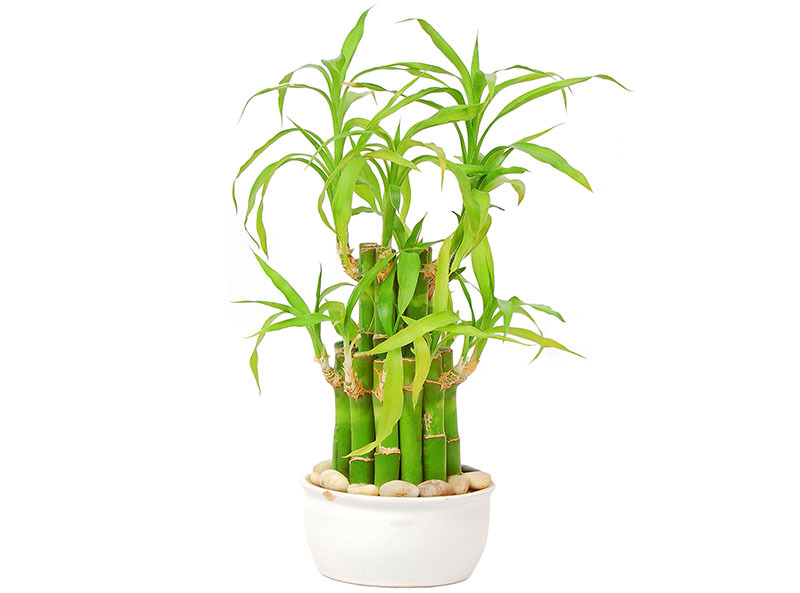 If you decide on growing your Lucky Bamboo tree in water, then you are probably never going to have to feed the plant. If you start out that way and along the line, you see reasons to continue cultivating the plant in regular aerated compost, then you are going to need to use either normal strength fertilizers a few times a year or a tenth of that every two months. Re-potting is not a necessity when growing and caring for Lucky Bamboo, but there are two scenarios that make doing so appropriate at best. If, for some reason, you chose to cultivate it in a pot containing aerated compost, then you are going to have to re-pot every 2 to 3 years after planting it. On the other hand, if you plant your bamboo in a container of mineral water and rocks, it might not be out of place to consider switching the container for a larger one if you notice that the roots have become considerably long and extensive and knotted by the container shape. It isn’t necessary in this case, though, because simply replacing the water in the manner we describe above is sufficient. So, you have been nurturing you bamboo plant for years now, and it has been responding to caring for it in all of the ways we have considered. It is growing nicely, but it seems you are going to have to keep changing containers or do some pruning. If you are considering the latter, have no fear. It is perfectly safe to cut your precious Lucky Bamboo down to a more desirable size. Just be sure to do so using a sharp, sterilized cutting tool. All you need do is pick a section of the stem, preferably an inch above a given growth node, and cut it off. In time, you will be able to observe the plant growing wider rather than taller. The plant you buy might have already been cultivated to a specific height. It might be both wide and tall or one or the other. Whatever the preexisting condition, with many years of relentless care, you can be sure of doubling the height if you so desire. If you have done some pruning, you might want to consider the possibility of propagation using mature cane cuttings. 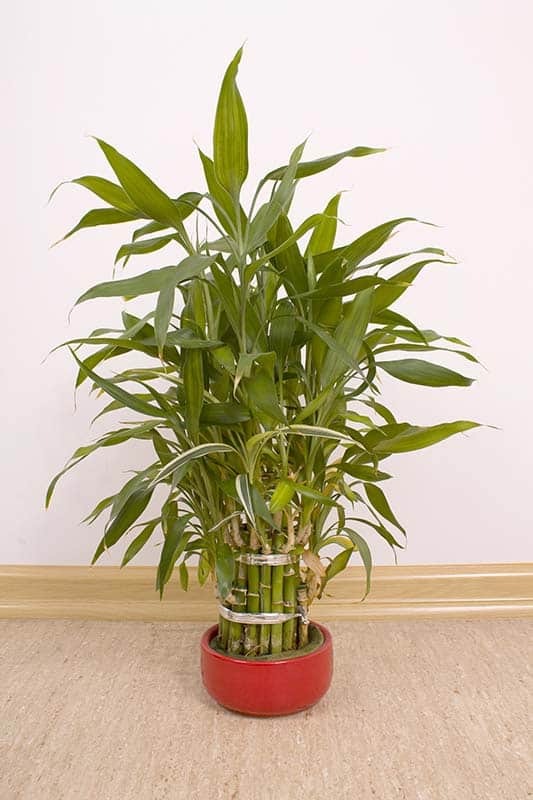 Like we said at the outset, Lucky Bamboo is remarkably easy to grow and you will find that these cuttings will thrive easily in both water and compost. Just ensure that you use cuttings that are approximately four to six inches long and have been dried overnight before you introduce them into water. Note that despite the ease with which you can propagate this plant, soft tip cuttings are not as responsive to the methods just described and might begin to rot in water. That’s why you’ll want to use longer cuttings for propagation. As is the case with every such undertaking, growing and caring for Lucky Bamboo is not without its challenges. This is despite the aforementioned ease with which it is cultivated. Let us consider some of the common challenges you are likely to face. This is one of the issues that could crop up if you end up having an unhealthy amount of chlorine in the water in which you grow the plant. Remember this is most likely to happen if you water your plant with city tap water that has been chlorinated. You should use either freshly collected rainwater or distilled water instead. You can use tap water only if you have a filter system that removes the chlorine. Yellow leaves could also occur if you neglect the sunlight requirement and expose your bamboo plant to excessive light. The plant thrives best in indirect sunlight. Algae growth is bound to occur if you, like the vast majority of gardeners, choose to cultivate a Lucky Bamboo tree indoors in a container of rocks and mineral water. That is because these microorganisms have an affinity for sunlight and nutrient-rich water. To avoid this, you should guard against placing your pot under direct sunlight and fertilizing too frequently. If you fail to water your Bamboo plant as regularly as you should, you will eventually observe brown spots on the leaves of your plant. The spot pattern is different from that observed if you water too frequently. If you observe brown tips on the leaves, you have probably been neglecting to filter your tap water for chlorine before using it to water your plant. If you want to remove this possibility completely, then you might be better off growing the plant in a pot of aerated compost as the chlorine and fluoride will be rendered negligible by the other constituents of the compost. As we alluded to at the outset, Lucky Bamboo tree or Chinese water bamboo has been hugely popular in Asian culture where it has been considered a symbol of good fortune for well over four millennia. It has positive spiritual meanings and is also thought to increase Feng Shui (“wind-water” when transliterated into Chinese), the Chinese metaphysical system that orders and harmonizes humans with their environment. Using these arrangments of the Lucky Bamboo can remind you of its origin and cultural significance. If you want to use it in more than one area of your home or landscaping, you can set up different arrangements in each location. This ornamental plant, native to both Southeast Asia and West Africa, where it lives in water in the shade of rainforest trees is great for decorating your home or office as a houseplant. It is easy to grow because it only needs water and indirect sunlight for robust growth. That is as long as you change the water regularly, rotate your plant regularly, and feed the plant sparingly. Vibrant growth also requires that you guard against dust collecting on the leaves. You can control the growth pattern to achieve beautiful aesthetics by rotating the plant stalks in front of a light source. You could also grow the bamboo stalks on their sides for a spiral arrangement or achieve the same effect by cultivating the plant beneath a three-sided box while you rotate slowly and regularly. Curling the stalk is not going to happen right away. In most cases, you will need to wait up to a year and a half.